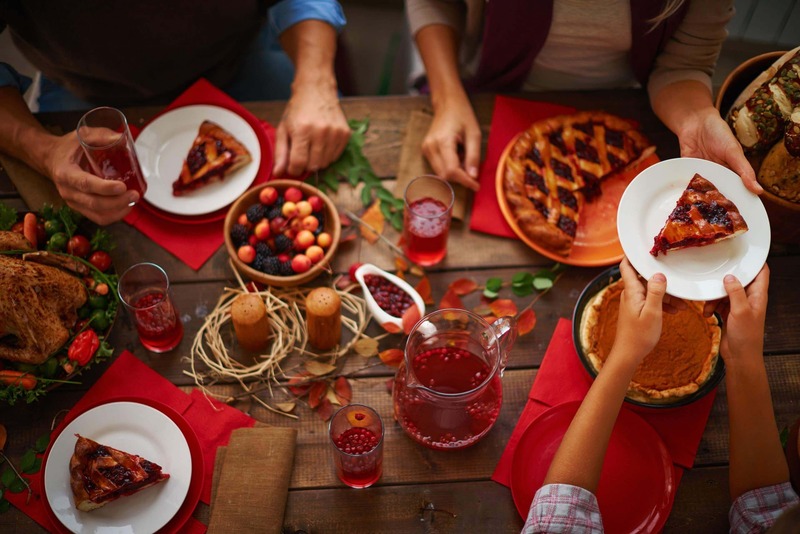 For many Americans, Thanksgiving kicks off a season of high-calorie eating. The trick this time of year is to enjoy the goodies without packing on extra pounds. It’s important to eat in moderation rather than denying yourself any goodies, said food expert Shreela Sharma. If you eat in moderation, you don’t need to feel guilty about having anything, from an appetizer to a dessert. When making desserts, substitute whole-wheat flour for regular flour in a recipe, or you can use 1/2 regular and 1/2 whole-wheat if you don’t want to go a full switch. Always have some berries as a side with your dessert. They’re naturally filling and will reduce the number of sweets you eat. Eat before you go to a party, so you don’t arrive on an empty stomach. A slice of whole-grain toast with almond or peanut butter is a good choice.